All new bargaining updates will be posted here, and on pages linked to here. Historic bargaining sessions can be found on separate pages under the “Bargaining Updates” menu. A full list of announcement links can be found here. February 21, 2019 – Bulletin 8 – DEAL RATIFIED! January 21, 2019 – Bulletin 7 – DEAL SIGNED! 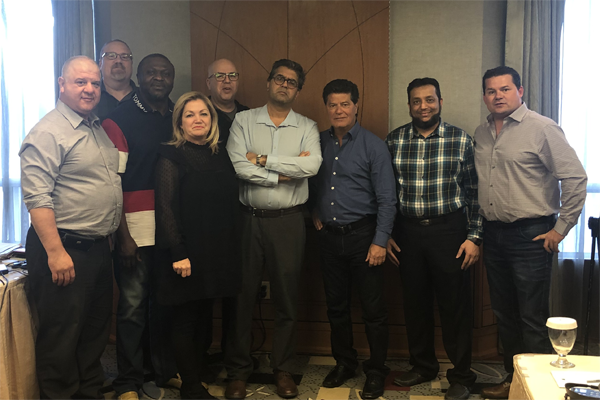 On the evening of January 18th, the Bargaining Committee signed an agreement with Bell Canada for the renewal of the Collective Agreement for Sales. We negotiated for several weeks starting last year for this round of bargaining with Bell Canada. The Bargaining Committee fully recommends this agreement and feels it is the best possible deal that we could have got for our members, it is a huge step forward for everyone. Over the next few weeks we will be holding meetings for the members and this will be communicated to you. It is very important to get good participation and to be fully informed when you vote. At these meetings the draft Collective Agreement will be unveiled in full. We thank you for your continued support and we look forward to meeting you at the upcoming membership meetings. Your participation is quite important.